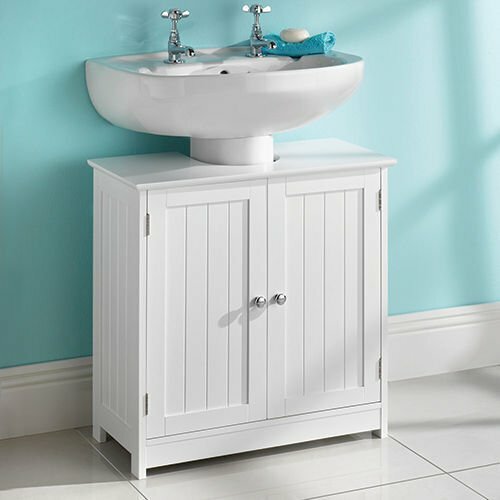 Bathroom storage helps declutter an area of your home that is usually quite compact. Bathroom management can also help save you money. 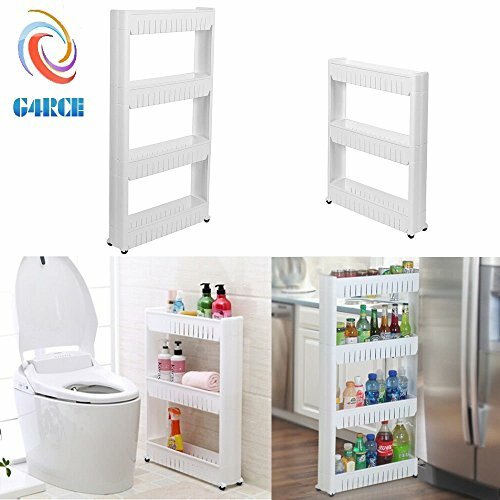 How exactly can paying money out on bathroom storage save me money? How many times have you come in with a bag full of shopping only to discover you already have a deodorant stashed away in the cupboard. Kids shampoos are not meant to be stored under a pile of towels! 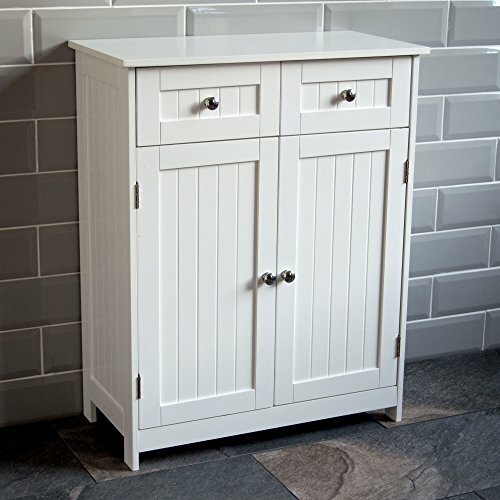 Bathroom storage can help you manage the products you buy, and save you from duplicating them while out shopping. Perhaps more significant is with the proper use of storage, you can take advantage of bulk buys by having somewhere to store and “stock-take” more easily. 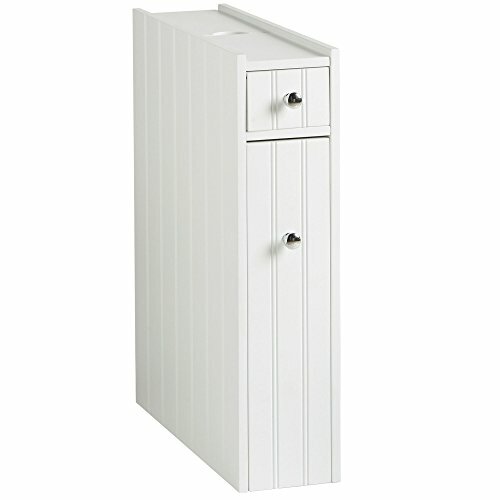 Storage can be functional as well as decorative. There is little need to coordinate everything though if you can and keep within budget you will appreciate the difference. 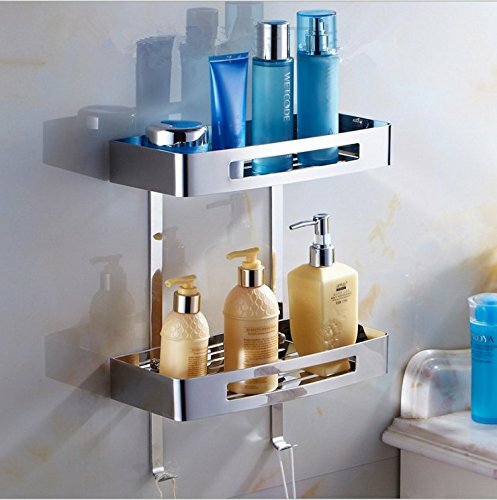 A well-stocked bathroom is a happy bathroom. 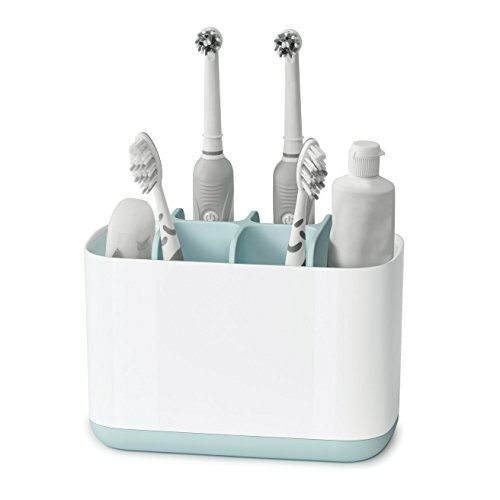 An investment for a sleek, stylish and practical kitchen or bathroom caddy look no further than our range. 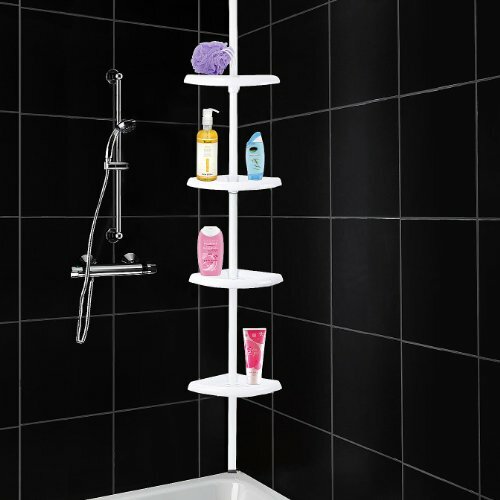 With this space-saving storage solution, simply use the strong suction pads for maximum convenience, with no need to attempt fiddly fittings. 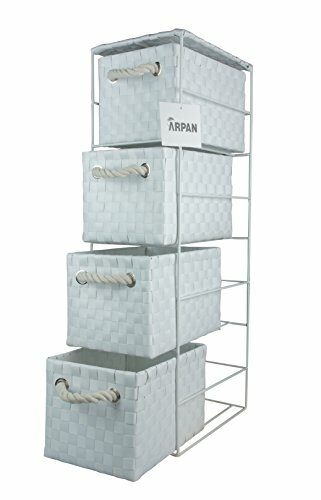 ARPAN MULTI -PURPOSE CABINET PERFECT FOR STORAGE: These firm woven polypropylene drawers are contained in a sturdy and strong metal frame. 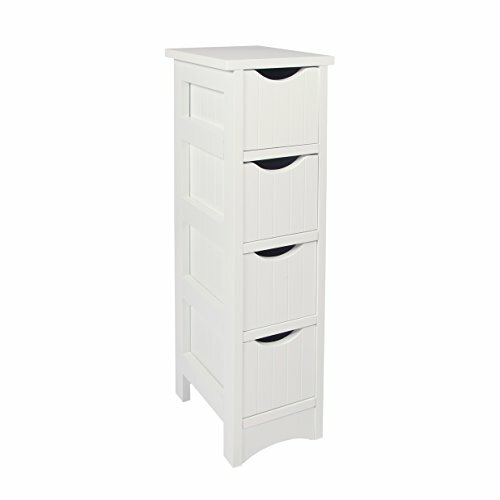 OVERALL SIZE OF THE FOUR DRAWER STORAGE UNIT: Overall product dimension is W18 x L25 x H65 cm, whereas drawer dimension is W 15 x L 23 x H 15 cm approx., this storage unit provides plenty of space to store bits. 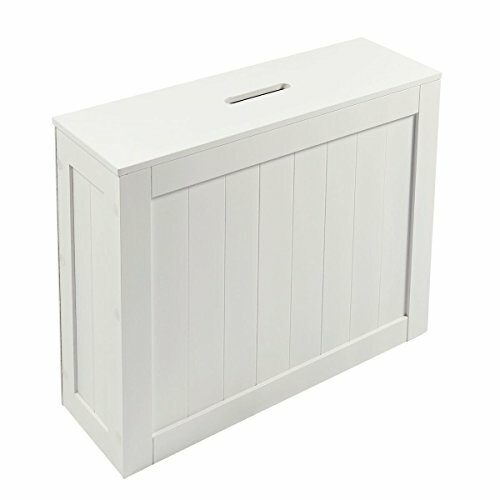 CABINET UNIT WITH METAL FRAME: High-quality metal frame with a glossy finish are anti-rust, anti-corrosion, and does not tend to lose paint and hence, durable for extended use. 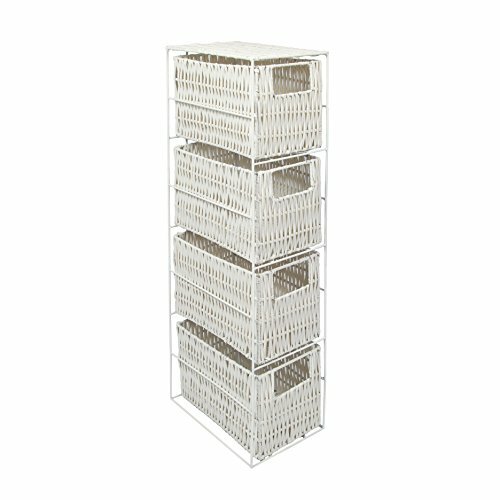 Solve your storage problems with this well designed white storage tower The hollow design of each bottom, no water will left. It is the perfect size to slip next to every gap. Fast slide movement with the rolling castors Helps to keep everything organized in a relaxed way Very convenient for patients or people who isn’t very mobile. Product Size: H 75 x W 60 x D 30 Cm Approx. 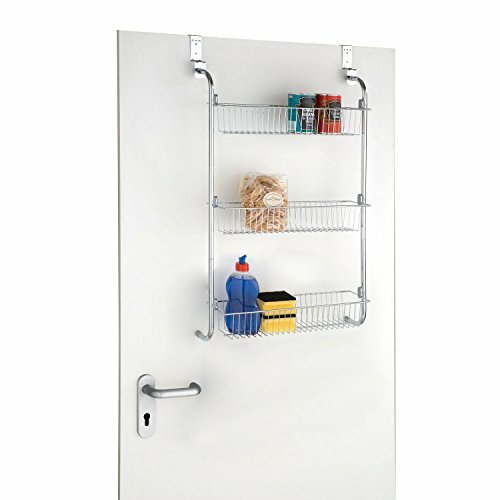 Product Dimenstions : W16CM X D24 X H66CM Aprrox.